The statement ‘no two pregnancies are alike’ is truer than true. During my first pregnancy, I spent much of my time reading, researching, and preparing for the baby. During my second pregnancy, I turned the focus on caring for myself. This meant taking care of the magnificent body I already had, that was meanwhile housing another human being. Taking care of myself meant that my baby, nestled deep in it’s womb, was getting the best care possible before the magical day of birth. This also meant I would be at my physical best to care for not only a newborn, but a toddler as well, after baby’s birth day. 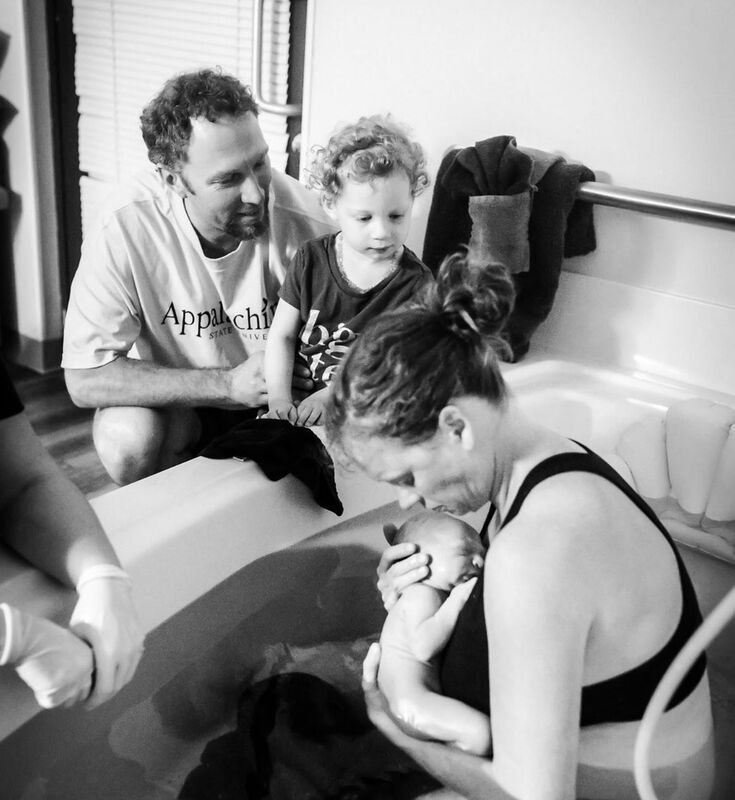 The two most important pieces of this care were Women’s Birth and Wellness Center and Prenatal Fitness Class Fit4Baby through FIT4MOM Chapel Hill. While my first baby was born at a birth center (in a different state) as well, WBWC was amazingly supportive, in regards that my strong opinions regarding my health and birth were heard, validated, and taken seriously. My questions were answered honestly, resources provided, my desires for the pregnancy and birth were honored, and I felt empowered. From the front desk, to the nurses, to the midwives and beyond, my time at WBWC was wonderful! I found Prenatal Fitness Fit4Baby while researching prenatal exercise programs.WBWC encouraged me to keep up with a consistent exercise routine (which had been lacking in my first pregnancy). Fit4Baby was the perfect compliment. Not only was I able to take a couple hours a week to focus on my body and the baby it was growing, but being with other women who were experiencing the same things I was, from sugar cravings to sleepless nights, was reassuring and comforting. These women became a consistent part of my week, and quite frankly, the favorite part of my week. The classes consisted of cardio, strength and core exercises. The instructors were so knowledgeable and were able to provide modifications for all levels of abilities and stages of pregnancies. They always checked in to see how each I was feeling and created classes that supported the pregnant mama, wherever she was that day. Even if it meant, I did zero exercise that day. It was a judge-free, supportive, and positive environment, where I could chit-chat with other women, all while getting in a safe, awesome workout. And just because it was a prenatal workout, didn’t mean it couldn’t be challenging. I remember being surprised after the first class I went to, thinking “Wow, I can really get stronger and fitter during this class!” And after that great workout, the instructor read a meditation. So I got to lay, silently, and still, and focus inward. It was truly amazing! In opposite fashion to the first born, number two arrived twenty-eight minutes after I arrived at WBWC. I labored at home for three hours before dipping my toe into the birthing tub. My legs were powerful holding me from one contraction to the next, my back and core stable. My body was made for birthing this baby. My strong body was ready to help this baby boy make his arrival earth-side and that’s exactly what happened. The short six weeks of postpartum recovery flew by, and I was ecstatic to get the go-ahead to exercise again. The transition to FIT4MOM’s Mommy & Me stroller-based exercise classes was seamless. Showing up to class and seeing moms from my Fit4Baby class was so fun, as well as, talking with more experience moms, all while getting an awesome workout with baby in tow! Many thanks to WBWC and Prenatal Fitness Fit4Baby for making pregnancy incredible!